Of most interest at this year's WWDC is the next-generation version of iOS, presumably known as iOS 10. It's also expected that Apple will unveil OS X 10.12, potentially rebranded as macOS. Also likely to be on tap are new updates to both tvOS for Apple TV, and watchOS for the Apple Watch. Potential additions to those lesser platforms, however, haven't surfaced yet, though additional refinement for the still-rough watchOS is widely expected. Announcements related to all of Apple's operating systems should come at the keynote presentation, which is likely to be streamed publicly for the world to see, as the company has done in years past. The event will be held at the Bill Graham Civic Auditorium in San Francisco, Calif.
Of particular interest this year is Siri, as Apple is widely expected to bring its voice-driven personal assistant to the Mac. In recent years, some aspects of Siri have fallen behind competing services from the likes of Google, Amazon and Microsoft, and onlookers expect that Apple may have a major overhaul in the works to strike back at the competition. Last year, it was said that Siri will be expanded to gain new phone-based functionality, including answering calls, and transcribing voicemails to text so they can be quickly read. It's also expected that Siri functionality will be extended to third-party applications through a new API for developers. Apple Music is also expected to receive some attention in iOS 10, complete with a more intuitive user interface and an expanded Beats-branded streaming radio. The changes are said to be accompanied by a major ad campaign to further drive adoption of the $10-per-month streaming service. Apple's Photos apps for both iOS and OS X are also expected to get significant upgrades this year, restoring image editing features that were previously found in iPhoto. It's also rumored that iOS 10 will finally give users the ability to hide built-in apps on their iPhone or iPad, such as the Compass or Voice Memos. Other areas of interest that could receive attention this year include Apple Maps and accompanying local data. Maps is expected to receive enhancements from Apple's roaming vans collecting mapping data, which could include a Google-like street view, or enhancements to 3D Flyover. Another focus for Apple, particularly since the launch of the Apple Watch, has been HealthKit. 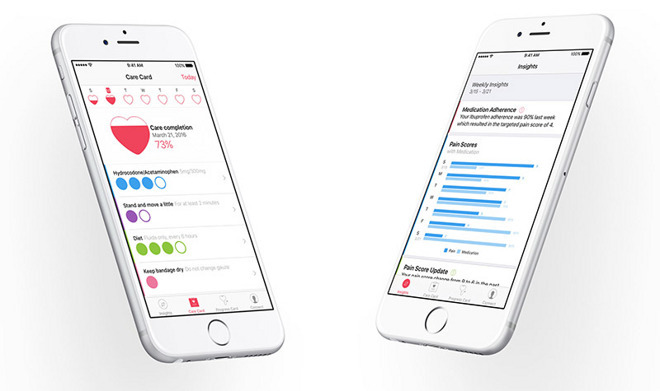 Since HealthKit debuted, Apple has also made accompanying CareKit and ResearchKit tools available. It wouldn't be a surprise for Apple to expand on these efforts at this year's conference. Not anticipated at WWDC: New iPhones. Apple isn't expected to unveil its next-generation handset, known unofficially as the "iPhone 7," until September. There is an outside chance for new Mac hardware, particularly with new MacBook Pro casing leaks and continued Thunderbolt Display outages, as well as an aging Mac Pro lineup. But in recent years, Apple hasn't introduced new hardware at WWDC, instead opting to keep it a software- and developer-focused event. One recent rumor claimed Apple is working on a new Thunderbolt Display with 5K Retina-resolution screen and integrated graphics card. It was suggested Apple could introduce the new hardware at WWDC ahead of a launch later this year, which wouldn't be unprecedented. But Thunderbolt Display inventory has been low for years, and it's unclear whether Apple is even interested in investing in the niche accessory any further. Regarding new MacBook Pros, well-connected analyst Ming-Chi Kuo expects them to feature a new form factor with four USB-C ports, an OLED touch bar replacing the function keys, and Touch ID secure login support. However, Kuo's sources pegged the all-new MacBook Pro for a fourth-quarter launch in 2016, making an introduction on June 13 seem unlikely. As such, don't hold your breath for new hardware at WWDC. While there's an outside chance of it, this is likely to remain a software-focused event.